You have a good vendor and are in the first half of your session so if your colt has the right type he should attract a fair price. Of the 200 extra lots, between the big vendors of the last few years, they have an extra 250 odd lots between. So whilst it is a bigger sale, it would appear that it was for the benefit of those boys. Bit of a drought reduction it would appear. Good luck! 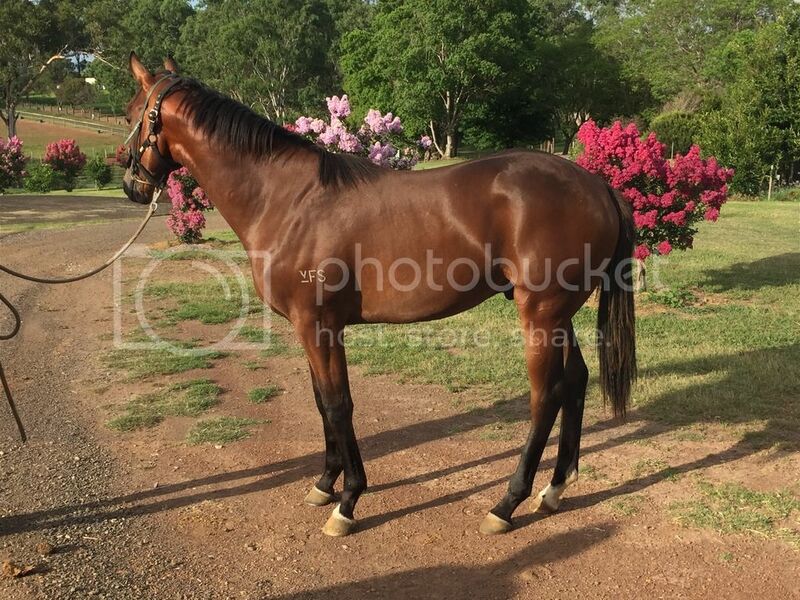 He has a nice geldings page, except for his dam, the rest of the family is a runners page. Make sure the vendor puts a photo up at least 2 - 3 weeks before the sale, I cannot tell you how frustrating it is to not see photos up online!! Most of all, have a realistic reserve! I believe in the theory that if I can make a profit, even if its only a tiny one, a profit is a profit, and therefore the sale is a success. Rem - I was really happy with the draw. Subject to withdrawals he should be the 61st lot through, which will allow enough time to allow the market to settle and not too much time for orders to be filled. Einstein, there will be a bombardment of photos and spam on social media! Hopefully a video as well. He does have a nice page, and there are legitimate excuses for his dam which hopefully I get the chance to explain. And agree on the low reserve - he is so hard to price in any event then you have to let the market tell you what he is worth and not pre-empt. Don't be afraid to approach a senior Inglis sales agent like D'Arcy and see where they have him priced. Between them and your vendor you should get a solid idea. 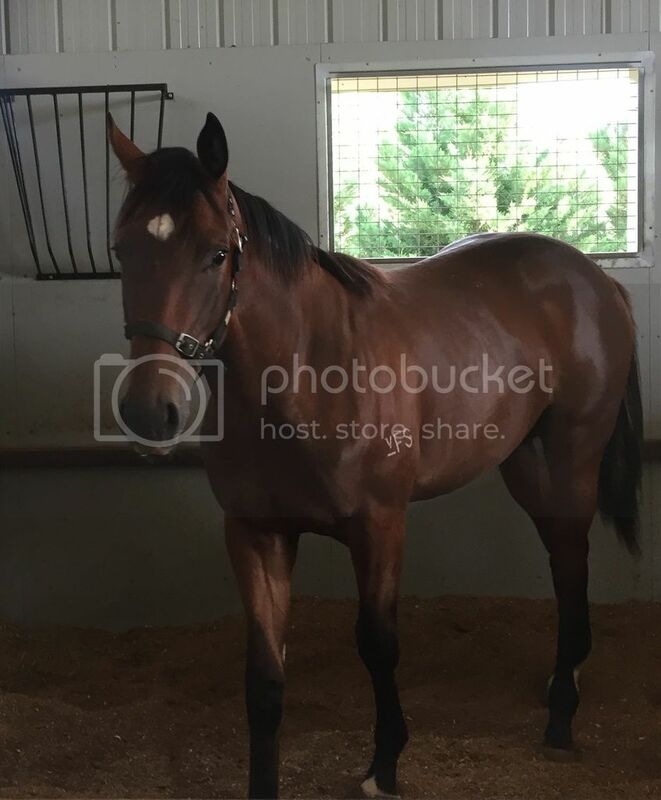 I tend to set my reserve and if it is a horse I really want to move I tell my vendor to 'go live' if the bidding stalls a bit short and once the buying bench know he is on the market you tend to get a few extra bids. Good luck with him. I will make sure to check him out. 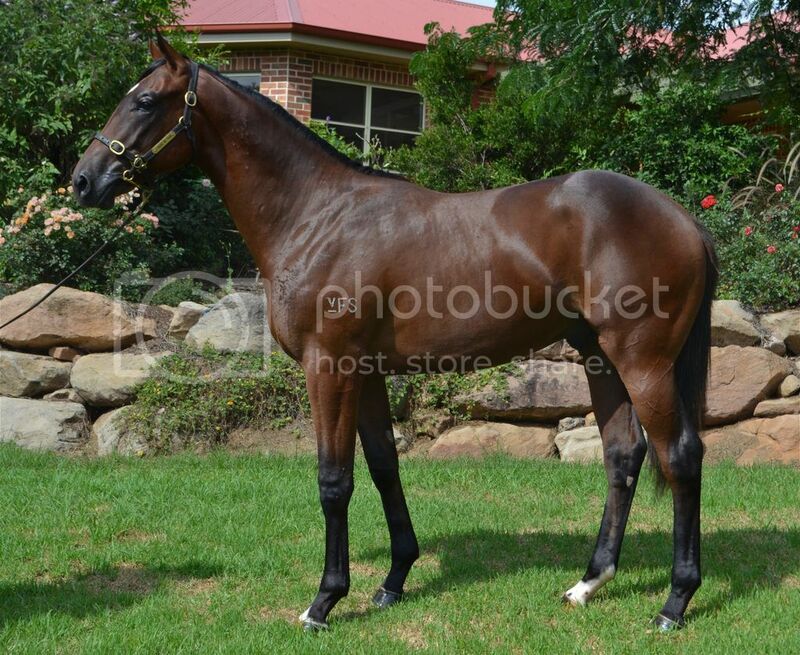 Photos of my Inglis Classic Roman Emperor colt taken on Monday. Still six weeks out from sale day. I'm really happy how he is coming along. Hes a nice sort Robbo!!! Just try and get him to stand a bit better for photos and squat down a bit when taking them so your shorter than the horse otherwise you make him look smaller than he is. Agree with Einstein,,,get better photos. Those pics do him no justice . Reckon this sale has more depth than Melbourne Premier, and will exceed that sale's average prices. Just hope there's enough cash left when Robbo's fellow enters the ring. 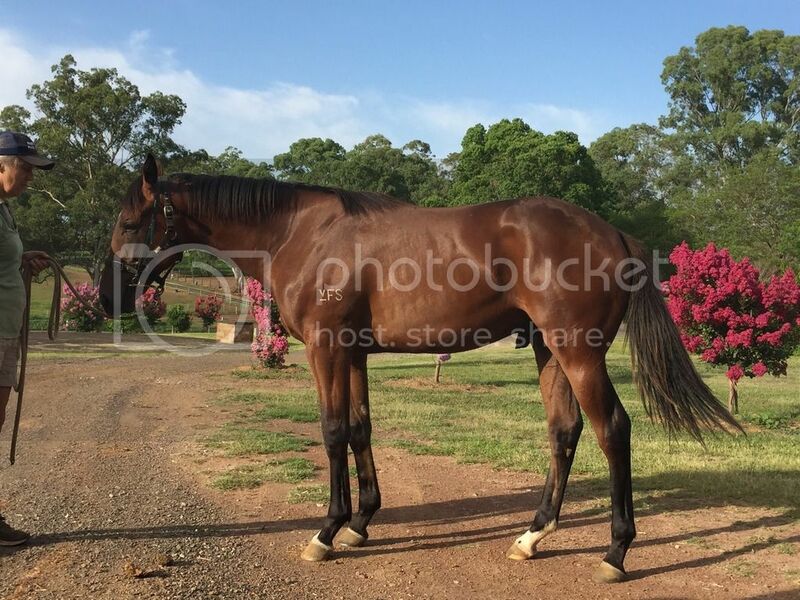 Here is the Roman Emperor colt as portrayed on the Inglis website. Apparently it's been quite a challenging preparation period all round due to the extreme heat, but otherwise he is handling everything well. Just having a browse of the catalogue and noticed Lot 31. His dam was a lovely type and the 3 x 2 Lion Hunter is very interesting. Certainly looks like a November foal however they soon grow up. Had iron my short list as well, Flight. To be fair to the market it is apparent Inglis put too many gelatihouse types in this sale. Do yourself a favour and scan the presale pics. There are a lot of "barry crockers"
Glencoe you're not alone in suggesting there's some very ordinary types in the sale. Thought Lot 64 (Sebring - Arcadia Rose) appeared good buying at $120k. Get your thoughts on this one? Don't much like the filly or her pedigree page Shrunk. I pulled out around 60 yearlings and there was only 1 that I would even consider buying. A lot of poor types and bad looking joints. Guessing the supplementary feeding due to the drought has had its impact. A lot of worried vendors going into the next few days. Glencoe I do not rate myself as a judge of type --so what do you think of Lot 259. Bought by Bjorn Baker for $40K. Quite a good pedigree, so seems quite cheap. 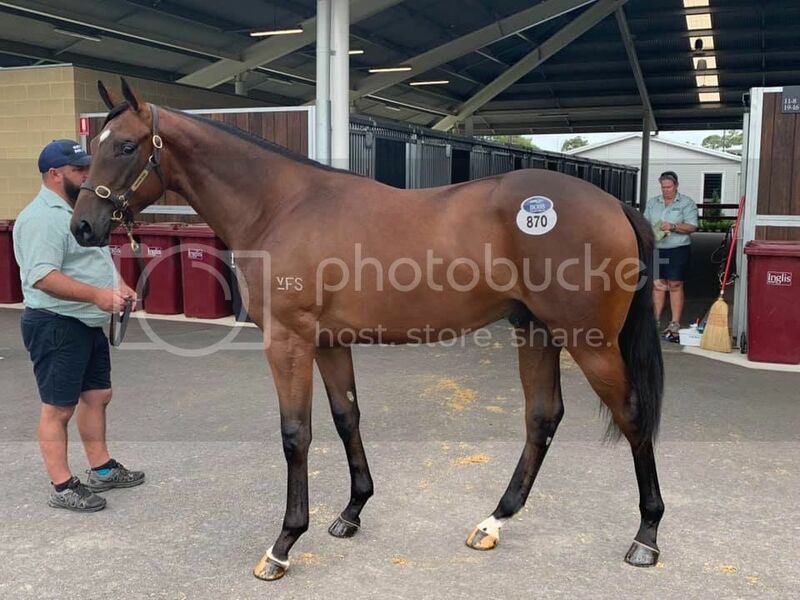 3rd: the yearling in question was purchased for $30k as a weanling by Arrowfield either for itself or a client, yet they were prepared to sell her for what represents a significant loss as a yearling. None of which fills me with optimism.